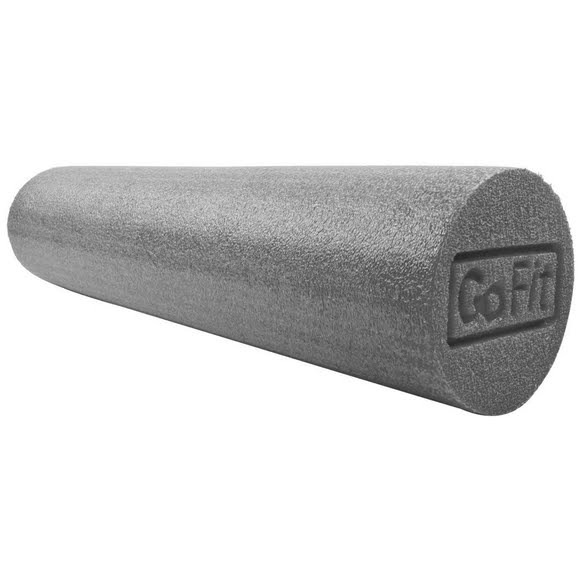 Roll away stress and lower back pain as well as improve balance, alignment and stability with the GoFit Foam Roller. One of the most effective self-massage routines you can go through, the Foam Roller can help decrease pain, relieve the stress and tension that's stored in your muscles and create better overall body balance. Roll away stress and lower back pain as well as improve balance, alignment and stability with the GoFit Foam Roller. One of the most effective self-massage routines you can go through, the Foam Roller can help decrease pain, relieve the stress and tension that&apos;s stored in your muscles and create better overall body balance. The Foam Roller includes a useful instructional flip book that targets your main problem areas before and after your workouts. The Foam Roller is made of dense textured foam that&apos;s lightweight, portable and easy-to-clean. Measurements 36 x 6 in.